The Cheyenne Rifle and Pistol Club is proud to sponsor an NRA Rimfire Skill building program this 2017 shooting season. If, after reading below, you have questions please contact Ken Roylance at (307) 631-3722 or via email at nrarimfire@cheyennerifleandpistolclub.org. At our indoor range, 2621 East 7th Street, Cheyenne, WY. The NRA program is open to both CRPC members and non-members, including Juniors (ages 12-17). 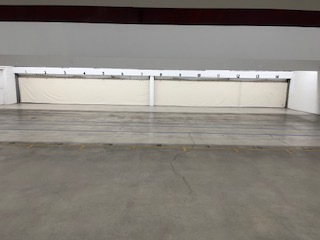 All juniors MUST be accompanied on the shooting line at all times by a non-shooting adult. Is this a shooting competition? NO!! This program is intended to increase the shooting skill and accuracy. The shooter “practices with a purpose.” You are only competing against yourself and the target through the seven different courses of fire. You are not competing against other shooters! What type of rifle can I use? Any rifle chambered in 22LR that is under 12 lbs., including scope and sling. Can I shoot any other caliber? How difficult are the courses of fire? All courses of fire are shot from the 50 foot line on A-17 targets. Does the program provide ammunition? No, the shooter supplies both the rifle and the ammunition. In addition to the rifle and ammunition, you will need a pair of safety glasses and adequate hearing protection. You will not be allowed to shoot with these items! There are no exceptions unless you wear prescription eyeglasses that meet firearm safety standards. All targets are provided as part of your paid fees. Yes, but they must watch from our observation area. What if I am not an experienced shooter? The event and course is supervised by an experienced Rimfire Rifle Coach, and in some instances NRA Certified Instructors. NRA / Winchester qualification catalog which explains each course of fire. You will be told how the program works and shown the awards for obtaining each of the different courses of fire. You will be given the range rules along with the range commands and how to respond to those commands. Please join us for this fun and educational event!